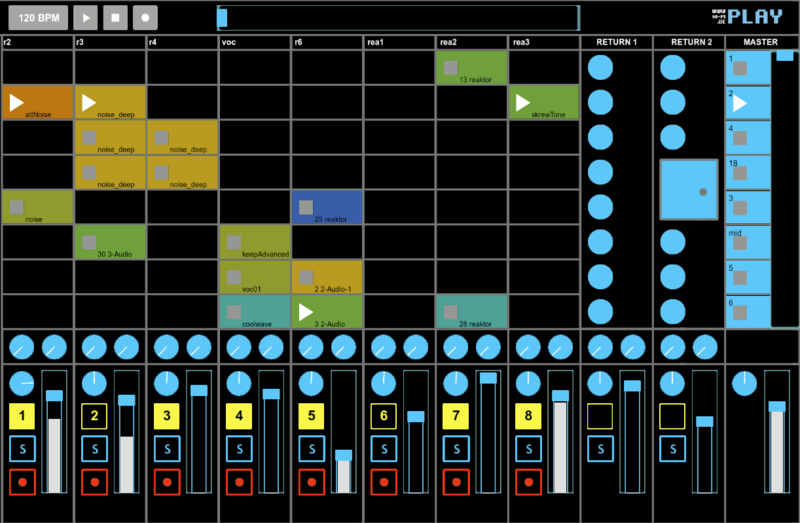 As computer music practice – part composition, part instrumental play – spreads, the idea of software interface as performance tool is becoming second nature. Putting those opposable thumbs and sensitive fingertips to work, multitouch controllers are growing in number, variety, and sophistication. Berlin-based artist Marco Kuhn shows off his beautiful creation, the PlayBox multitouch hardware, and its first app, PlayLive. That first software focuses on Ableton Live performance, but Live could be just the beginning – Marco has worked with Pd in the past and promises other apps to come. He’s interested in selling this device in the future, and he shares with us the tools he used to create this work for those of you doing development along similar lines. 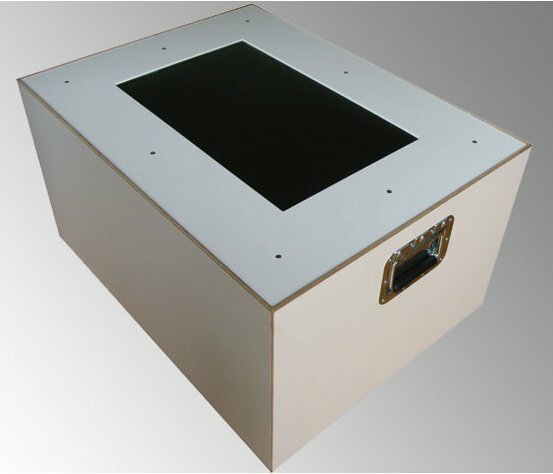 “Play Box” is is a User Interface for Natural User Interaction. “Play Live” is a dedicated multitouch controller surface for Ableton Live. The whole app is coded in python. I tested it with my mac book pro, “Play Live” and “Ableton Live” is running at the same machine. It should work on all platforms (Windows, Linux, Mac OS X). That Project started with my Diploma Thesis in Applied Computer Science 1 year ago. Everything is coded and built by myself. The GUI – elements has been designed by Gösta Wellmer. In this work, I created a GUI-Controller Library which allow me to Develop very rapidly Multitouch Interfaces for other Audio Environments. I [plan] to sell the” Play Box” and Apps like “Play Live” if anyone is interested. The price is yet not specified. – used PD, Processing, Reactivision and OGRE. I hope to have video to share soon – and yeah, it’s time to plan another visit to Berlin.